Commando Boats has developed an Aluminium pontoon range of boats from 3.1m through to 9.0m, including mono hulls of varying sizes. Due to development a Commando Scout 3.9m dinghy has been added to fill the void left by Ramco and Fryan boats that are no longer available. Along with the Commando Pontoon range of boats, Commando Boats builds Aluminium barges for both the domestic New Zealand and export markets throughout the South Pacific region. Barges use for Oyster harvesting, Barges for people transport or cargo with payloads up to 15 tonne, barges for Survivor Aitutaki, Tokelau, Tonga, Fiji ranging in size and width from 9m long to 15m long and 3m to 4m wide. 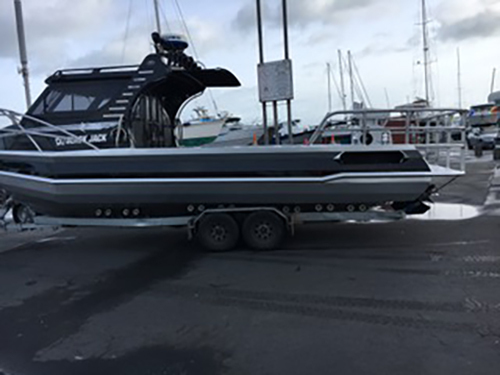 Commando Boats also does repairs to existing Aluminium boats and modifications such as a 1m extension added to the rear of the 7.5m Profile Boat.